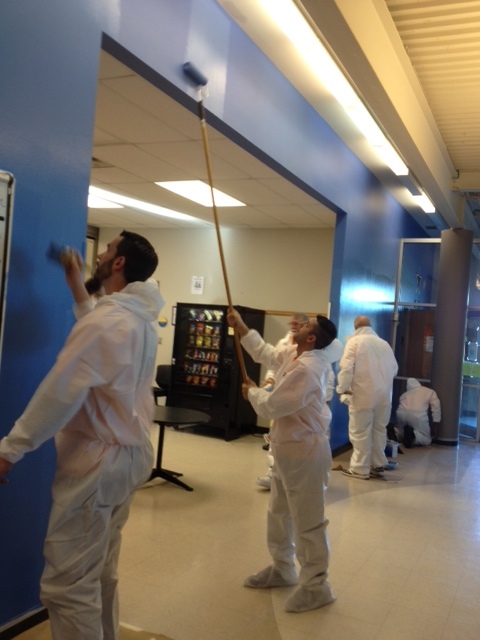 For the fourth year in a row, Aaron’s associates dedicated one day to “Extreme Volunteering” – a large-scale outreach effort to community projects benefiting military service members, area children and the community. Ken Butler thanks the nearly 2,000 Aaron’s associates who invested 5,100 hours and more than $500,000 in product and service donations. Over the past four years, Aaron’s managers will have invested 20,800 hours and $1.5 million in product and service donations to surrounding communities through outreach projects conducted at national meetings. 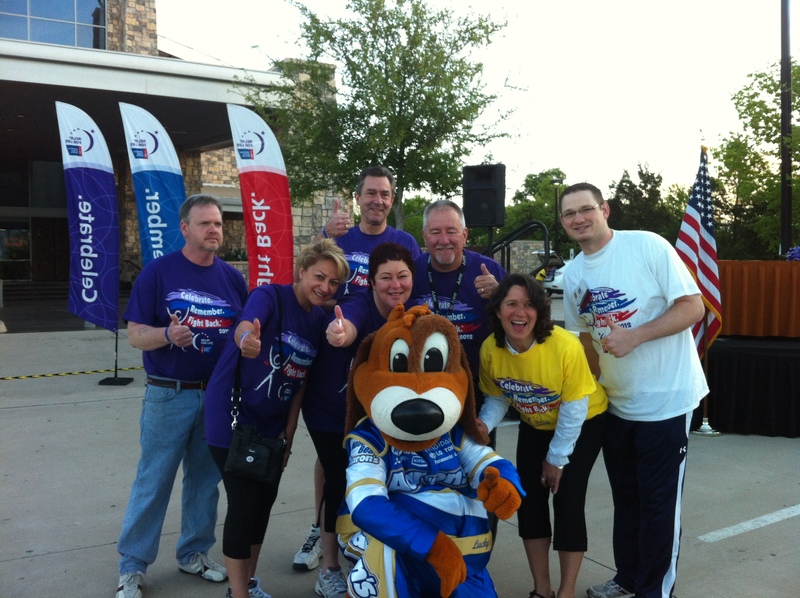 Continuing their commitment to the American Cancer Society, Aaron’s associates rallied the first walkers, all cancer survivors, during a mini Relay for Life Event onsite at the Gaylord Texan. Relay for Life is one of the largest fundraising events for the American Cancer Society. It allows communities around the world to join together with one common goal – to fight cancer. Aaron’s will have a host of activities and games as the associates walk to celebrate survivors, remember loved ones and fight back against cancer. The company will present the American Cancer Society tonight with a check for more than $200,000 raised from a company-wide employee campaign. 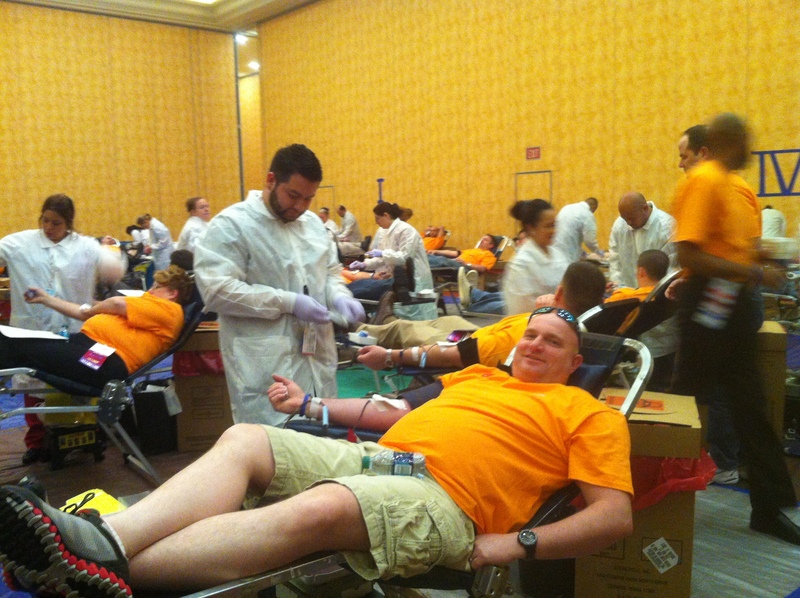 Aaron’s partnered with Carter BloodCare to host an on-site blood drive at the Gaylord Texan Resort. This year nearly 450 Aaron’s associates donated blood including Gary Schluter from Madison, Wisconsin, on board now with Aaron’s for 11 years. As the level of sophistication in medical treatment increases, so does the need for blood. Every two seconds, someone somewhere in America needs a blood transfusion, and the supply can only be maintained by volunteer donors. Additionally, blood credits earned during the drive will be donated to Texas Scottish Rite Hospital for Children in Dallas. 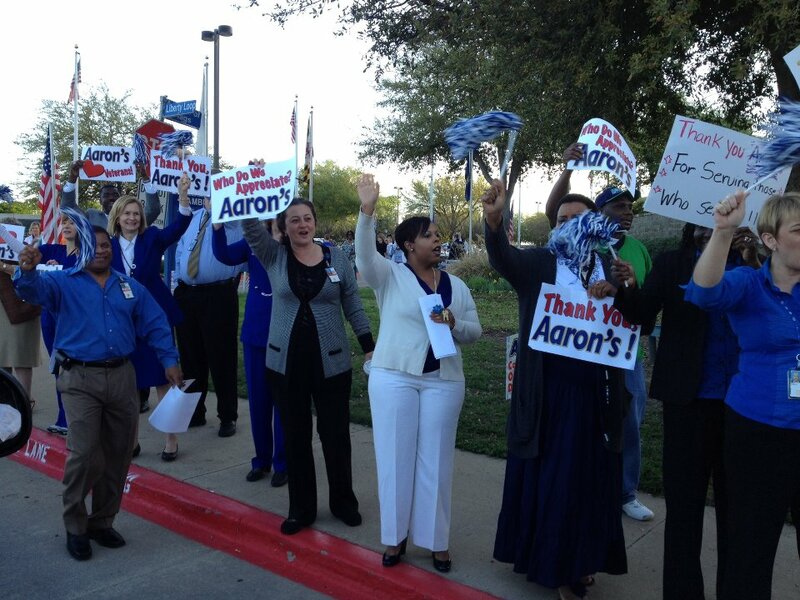 Aaron’s partnered with the North Texas Food Bank to bring hope to the tables of deserving families. 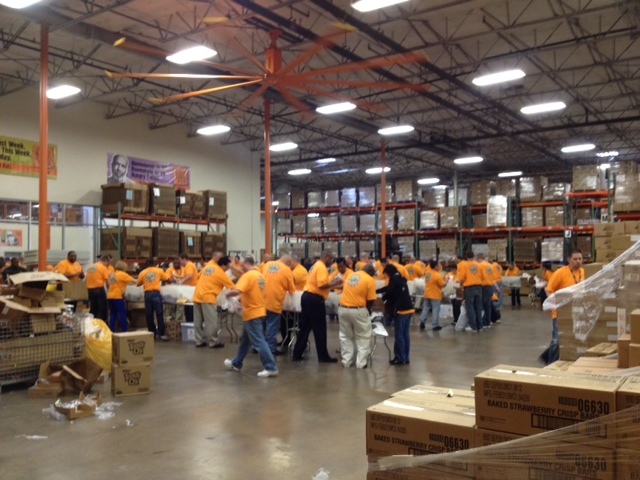 Teams of Aaron’s associates packed food boxes based on nutritional requirements. Aaron’s assisted in assembling 30,000 meals for those in need. Aaron’s plans to donate a Frigidaire 30-inch freestanding electric range stove for the Food Bank’s Kids Cafe. The VA North Texas Health Care System serves over 111,000 patients each year, delivering over one million outpatient visits to veterans in 38 North Texas counties and two counties in southern Oklahoma. In support of Dallas VA Medical Center and its commitment to providing veterans excellence in patient care, Aaron’s donated $165,000 in product and monetary donations to refurnish and update the patient waiting areas of GI, ICU, dialysis, homeless domiciliary and the Guest House on the 9th floor. Michael Waltrip, Aaron’s NASCAR driver, was on hand to sign autographs and take photos by the Aaron’s No. 55 Aaron’s Dream Machine. 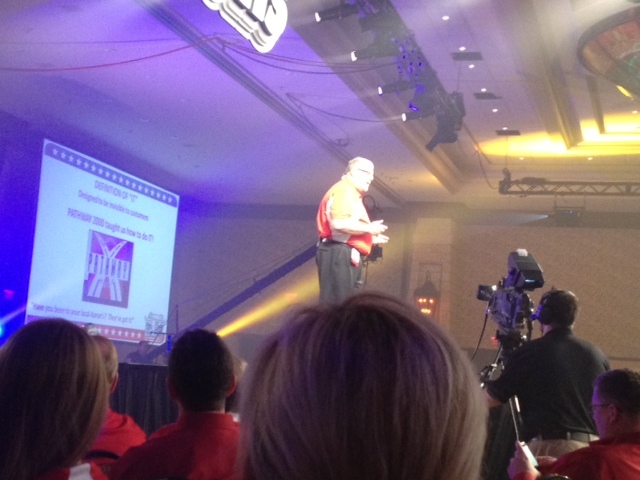 The 2012 Aaron’s National Managers Meeting jumped into high gear with energetic remarks from Founder and Chairman Charlie Loudermilk, CEO and President Ron Allen, and COO Ken Butler. 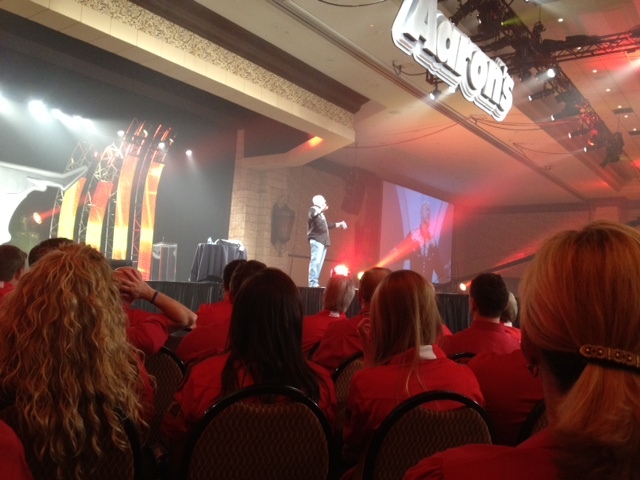 Then Larry Winget, known as “The Pitbull of Personal Development” rallied the 2,000 associate managers from across the U.S. and Canada.